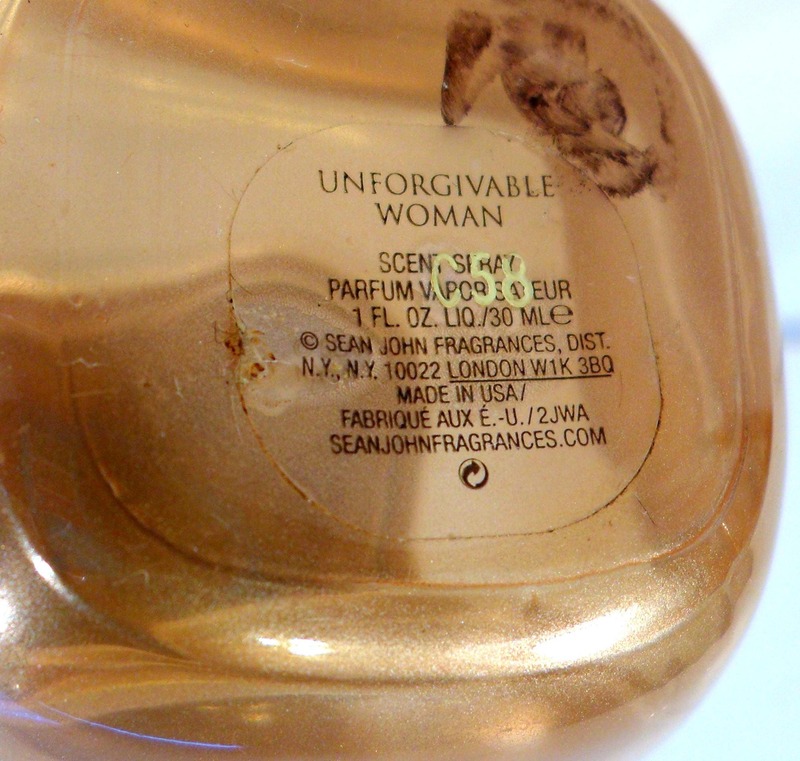 Unforgivable Woman by Sean John 1 oz Parfum Spray. Sprayed once or twice. I no longer have the box. It still smells good. 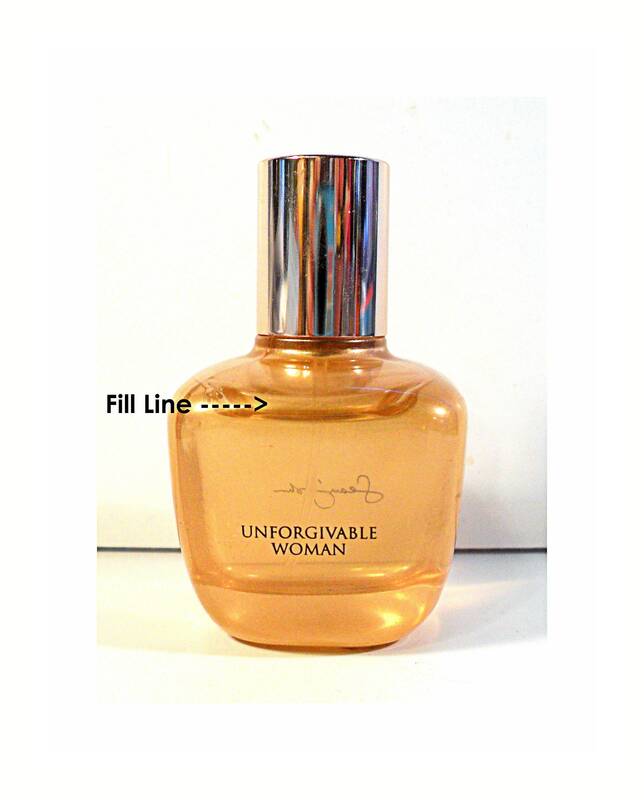 This is the original formula perfume. The batch code "C58" corresponds to May 2008. 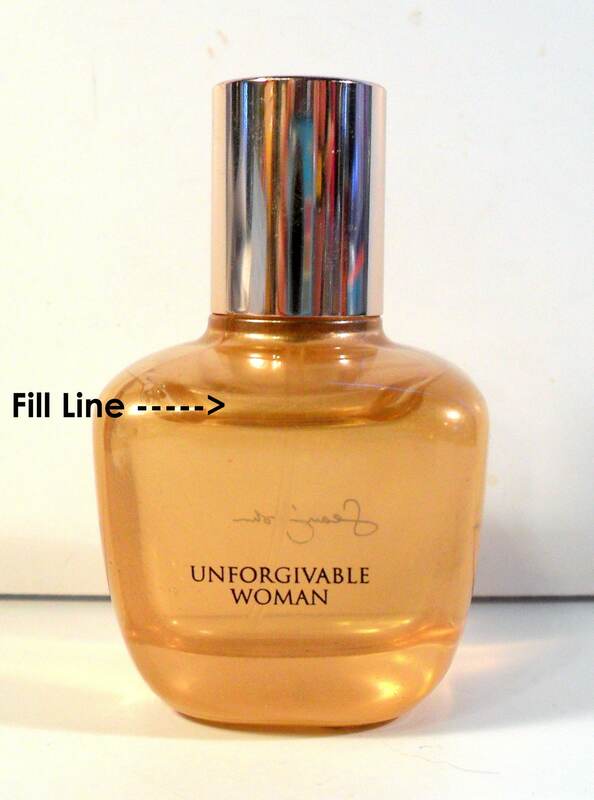 Unforgivable Woman was launched in 2007. It is classified as a floral oriental fragrance for women. Top notes: bergamot, pina colada, bitter orange, orange blossom petals, cassia, grapefruit, apple and pear. Heart notes: orange blossom, jasmine, violet, lily-of-the-valley, cyclamen and rose. Base notes: amber along with Tonka beans, vanilla, cedar, sandal, oak moss, patchouli and Coco de Mer (Lodoicea maldivica).